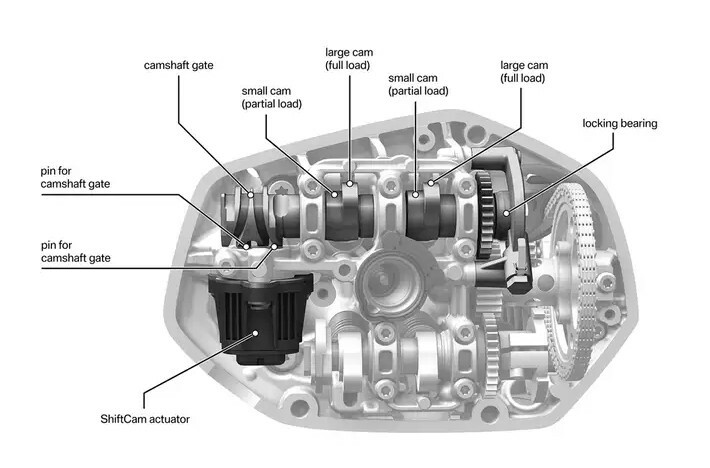 A few days ago, we brought you news of the new BMW Boxer engine with variable valve timing, called ShiftCam. 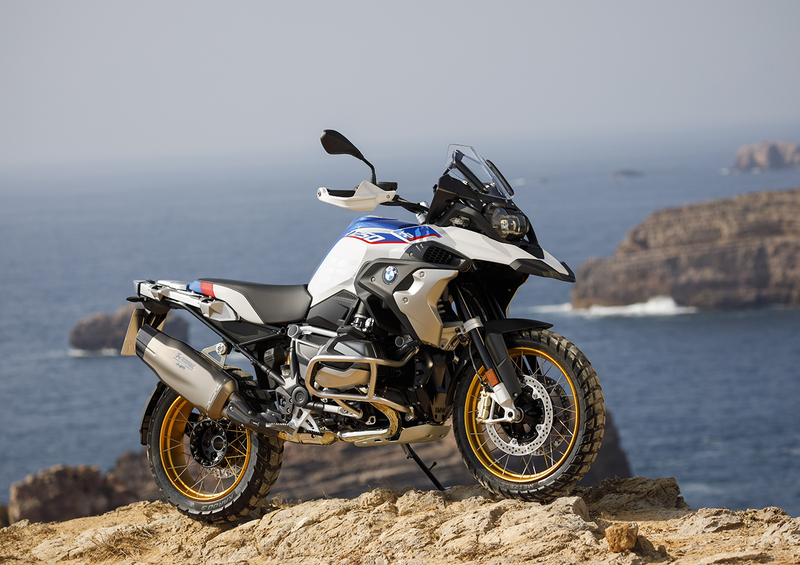 Bumping displacement to 1,254cc, creating increases in both horsepower and torque, the new Boxer will find a home not only in the R 1250 GS, but also in the R 1250 RT 2019 models (pictured). Should have kept my mandarin ’00 R1150GS, a prior BMW “fleet” bike, which bikes are ridden by BMW employees and/or road test subjects, etc. Purchased with about 6k miles, sold with 40k miles, and it never hiccupped. And I’m a Clyde who rung that bike’s neck regularly, wheelies every day, occasional light off road. I’d buy either of these new models. One of the great joys of BMW ownership is visiting dealers, where I purchased a BMW riding suit and boots, among my all time best purchases. No other OEM can touch the BMW experience, not even close, and I’ve been in every brand sold in the US. The level of maturity of the employees, the whole package is just loads better. Walk in and try it. Even if you don’t buy a bike, you may buy one somewhere else later. OTOH, I do remember, close to 20 years ago, Motorcycle Consumer News’ service analysis by brand placed BMW very low on the scale v. other brands. But still, my particular bike was faultless, never saw the shop for service that I can recall. I’m so glad I have a stone age Africa Twin Adventure Sport. Poor me. Not. …I have to admit, I would like a late 70’s to mid 80’s airhead for the street. They (the new BMW), like everything else for the most part, is getting too complicated for a mortal to wrench on. Wrenching on your bike, in my opinion, is a big part of the enjoyment of owning a motorcycle. I had a 16 Africa Twin. Most problem plagued new bike I’ve owned, including a chronic stalling issue, DCT breakdown, broken switchgear, corroding spokes, ETC. A BMW can’t be worse than that. ………….and ABS module failure in short order. I have been riding and working for BMW motorcycles since 1985. Left in 2005 and sold my GS then. I loved the older Beemers, so I purchased a 2018 RT this year and have to admit I do not like the bike as much as I did the past generations. It wanders at slow speeds. It is complicated to do simple things like an air filter change and I am a bit afraid of all the electronic aids and reliability long term. It will go up for sale next spring, I think a Yamaha or Kawasaki will be my next sport touring bike. I am not interested in BMW anymore, getting way to complicated and expensive!!! Too bad I have owned over 30 of them since 1985. Wow! BMW guys are supposed to be very boring. What’s up with this comment section? In my world, motorcycles are the largest piece of equipment required to go motorcycling. I like to use the smallest and lightest motorcycle required for the venue that I am riding. My usual go to bikes and observed trials and motocross. But I have a 120 pound electric thingy and a supermoto for street use, as my personal bikes. I do have a Ducati for two up use. I just wish that BMW would devote some of their engineering prowess to developing clutch input splines that do not shear off if not regularly lubricated (BMW refuses to even acknowledge that this is a problem, and the service requires a ridiculous amount of disassembly) and rear drive units that do not require Merlin the Magician for proper adjustment. If they did that, I would probably still be riding one, but I gave up on them after three bikes and 200,000 miles. Im on another out west trip right now and you can’t throw a stone without hitting a BMW GS or a KTM 1190 Adventure bike. Haven’t seen any broken down on the side of the road either. Quite impressive. I never see these bikes in Ohio. These are nice motorcycles that may well be good motorcycles. Motorcycles can take you to see loved ones. They can also stop along the way to said loved ones at the Grand Canyon. But not the Great Barrier Reef. They can also break down along the way because of faults that were not discovered during the rush to production. This is why some here (and rightly so) will wait at least a year to buy something from BMW. For those that protest kindly remember that talk is cheap but buying and maintaining a BMW motorcycle isn’t. Moreso when a warranty claim is denied by BMW. Because regardless of how “awesome” paying to have the latest Bring My Wallet may be, no one with even a modicum of smarts just “loves” to be a beta tester for BMW. I can hardly wait to read the responses from those that feeeeeeel otherwise. How “awesome”. BMW – Tomorrow’s technology today. Even if it ain’t quite ready. Don’t sugarcoat it. How do you REALLY feel. Nice motorcycles. Heavy and too expencive. Wow, Mark. You certainly are on your way up in the world! I bet your parents are so proud that your such a wordsmith. Anyone else from your litter as incredibly witty as you? You’re a regular Grand Funk Railroad song in reverse, kid. If comprehension hurted you head and ego, try having Cortana read for you. Then ax for definitions. You read as the typical motorcycling moron, i.e., a bench racer. It’s for your kind that manufacturers need to put “Ego Mode” in the engine management system. Can’t love a motorcycle? Clearly, you’ve never been recognized and caressed by your bike. If you can’t call a motorcycle “awesome” then you haven’t experienced a very special machine ridden in its element at the limit (or at one’s personal limit to be more accurate.) There are a few bikes that come to mind where I was at a loss for words to describe the experience, much like the Grand Canyon. Do most bikes do this? No. Even those few “awesome” bikes I’m thinking of wouldn’t be awesome used in another environment or just sitting in the garage. But frankly, if any inanimate object can inspire and evoke emotion, well, I think that is pretty awesome. No doubt bikes like BMW and Ducati are more expensive to get parts and work for due to the same reasons BMW and Mercedes are more expensive in the auto world: they know their customers can and will pay. But the sad truth is, ALL motorcycles are stupid expensive to maintain. I swear the main reason Ducati and BMW get a bad rep isn’t because of the marginally more expensive service but because their owners actually have the scheduled maintenance performed and are therefore able to complain about it. Heck, Suzuki is having to PAY it’s customers to get a vital recall done. What percentage of them do you think swing by the dealership for that 16K mile valve check on the GSXR? BMW has always shown up low on the totem pole when it comes to those reliability surveys that used to get published (for whatever they are worth), and I would wager that hasn’t changed much in recent years. 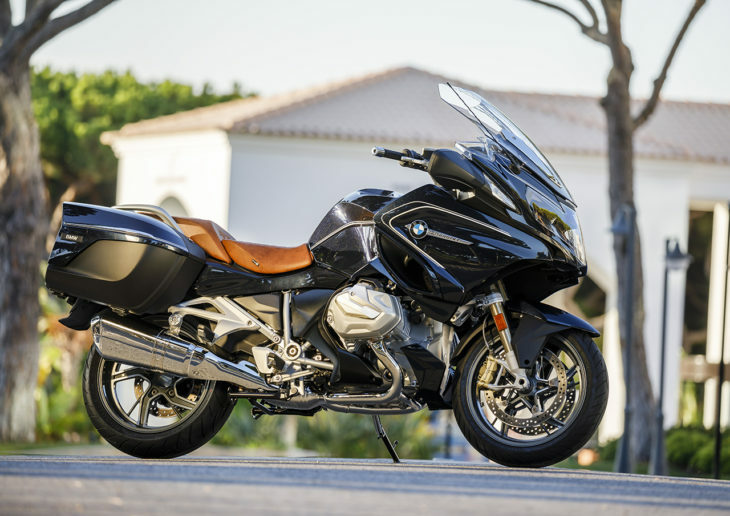 As a previous customer myself, BMW ownerships isn’t an experience I care to repeat, but it wasn’t so bad that I wouldn’t consider one again if they made the right bike for me. And the truth is I’ve known far more people to have long-time, trouble-free experiences with them than I’ve known people that had any real issues. The people I know that ride BMWs (which where I live may be the most frequently encountered large displacement motorcycle) ride them a lot. I see plenty with over 100K miles on the clock And the GS bikes in particular around here are not Starbucks parking lot gems either: most of them see some pretty hard usage regularly. I wonder if reliability were measured in problems per some block of mileage vs problems per year if BMW statistics might look better? Maybe not, but it would be interesting to see. Because how useful is it to know that that Kawasaki owners reported 50% fewer issues per 1000 units than BMW owners over a three year period? 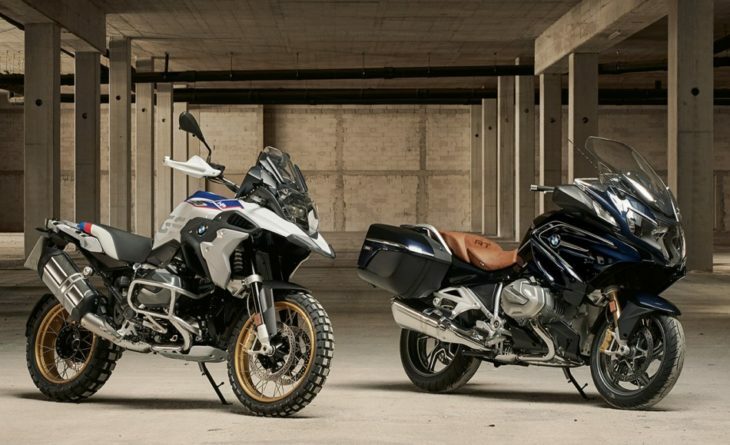 What if the collective mileage racked up on the BMWs was three times greater than the Kawasaki’s? It would be a different story then. Nearly 500 words none of which I read. Wow. That RS certainly has a full on science fiction sized fairing. I suppose if you break down, you could pull it off, deploy the wheels and drive it to safety. I think I will wait for the second year of this model. My purchase will be timed to match when BMW has fully concluded its “buyer based” reliability research program. I’ve decided I’d really like an RT. It’s really pretty much alone in the market as a sport-touring bike with serious comfort and wind protection, while being relatively light. I balk at paying full pop for a new one, though – that’s almost new car money. There aren’t a ton on the used market, though – owners tend to hang on to them a long time, and they don’t sell in big numbers to start with. I’d love to have that black (or is it dark blue?) one up top, with the tan saddle. It’s too good of a bike for it’s intended purpose for owners to let go of. Any improvements each year are menial so there isn’t much incentive for them to trade up. The RT looks physically large because of the fairing and larger tank but man, does it work well! If it didn’t work so well, your post would be pretty funny. The RT pictured looks completely awesome, but the photo of the GS on a rock ledge overlooking the ocean simply scares the hell out of me. I can’t imagine wrestling a (500+ pound?) bike that heavy in a precarious situation. I’ll take a lighter bike any day for off-road. Bluetooth it to your phone and it will go to starbucks to get your favorite drink. While I agree that technology is making motorcycles into complicated vehicles that are far from my ideal, I don’t know of any BMW owners that don’t ride all over the country and all over the world. The Starbucks comment really doesn’t have any traction. This makes me long for the days of simple motorcycles. The best days, in my opinion. WARNING!! Ancient Fart response-I remember the arguments about whether the added weight of a starter motor and a battery would destroy a bike’s handling characteristics and who needs five speeds when four works just fine. Ride whatever YOU like. Hold up, boys. I just acquired a low miles 2016 R1200 RT – my first non-Honda – and have to say it is a very capable machine. Not as fun as my ’95 VFR but a little easier on my old bones for a long ride. Love the cruise control! It IS massive. And simultaneously closer to the rider than on other tourers. Resulting in the best weather protection of any bike. The GS gets all the love, but the RT is the gem in the lineup. That’s the one noone else has an equivalent to. Great in cold or rainy weather, not great in hot weather. Love the Black with pinstripe. Yup, pretty classy with the tan seat. Agreed. And the tan seat is a nice touch. Beautiful bike. A very classic BMW color scheme. What brand brake calipers are those?